Furnishing your office space with recycled office furniture means joining the growing community of business owners in the Mississauga, Ontario, area, who are choosing to go green. Instead of buying items made of brand new or unsustainably harvested materials, you can make the environmentally-friendly decision to purchase recycled furnishings for your office. 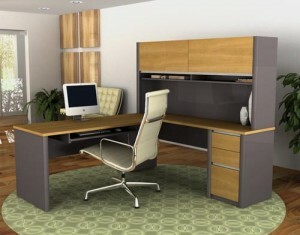 If you would like to furnish your office space in the Mississauga, ON, area with premium recycled office furniture, turn to the experts at Reusable Office Interiors. We have a wide selection of outstanding furnishings to choose from that are sure to impress, including desks, office chairs, workstations, file cabinets, conference tables, training tables, benching, and more. Additionally, as a company that makes every effort to be as environmentally responsible as possible, we want to limit the amount of waste that ends up in landfills. So, we offer recycling services where we will recycle eligible items for you, which can result in your business receiving a tax credit. For more information about the recycled office furniture we offer to business owners in the Mississauga, ON, area, contact Reusable Office Interiors today. One of our friendly and knowledgeable associates is available to answer any questions you have and can tell you more about the exceptional products and services we have available.